This Goliath antique brass large angle task floor lamp is tall, sleek and perfect for any contemporary living area. 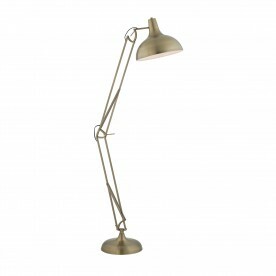 The lamp is just under 2 metres tall, with an adjustable, hinged-arm and head. 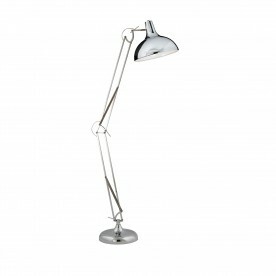 It has a retro office table lamp style, which has been reproduced on a larger scale for style and effect. And the traditional antique brass finish completes the look.